Ok, so I know I’m a week behind. There is a reason, and it’s big news, but that is a post all on it’s own. Suffice to say, we’ve been busy, busy, busy the past week. And even though we are still super busy, I actually made ketchup today. We were completely out, and I hate some of the ingredients in the store bought stuff. This is the second time I’ve ever made ketchup (or catsup if you prefer). This time I wanted to start with tomato paste. By starting with paste, it takes a lot of the time out of the process because you don’t have to simmer for so long. I got three pints, which I processed, and another pint + a bit which went in the fridge and freezer. I’m not sure how I like it yet. It doesn’t taste quite like ketchup that I’m used to. I have only made this recipe completely from scratch before, never from paste, so that may alter the taste. And I know from my previous attempt years ago that the taste does improve over time. Tie the spices into a spice bag (you can use a couple layers of cheesecloth or I use nylon pantyhose – clean of course) and simmer them in 1 1/2 cups of apple cider vinegar for about 10 minutes, Yes, your house will smell like vinegar! While that is simmering, add all the other ingredients except vinegar to the paste in a large pot. When the spices have simmered for about 10 minutes, take them out of the ACV and measure your spiced vinegar. Some of it will have evaporated during boiling, so add some of the extra to the spiced vinegar so that you have a total of 2 cups. Add that to your paste in the pot and stir well to combine everything. Heat to boiling, stirring often (very often). 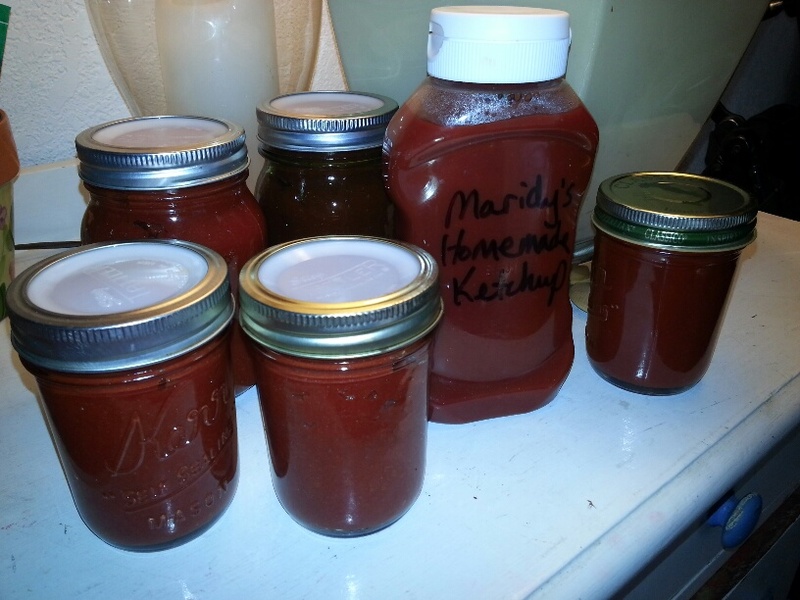 Ladle hot ketchup into hot sterilized jars, wipe rims and put on lids. Process in a boiling waterbath for 10 minutes – adjust for altitude if necessary. That’s it. Pretty simple. We’ll see how it turns out in a few days. 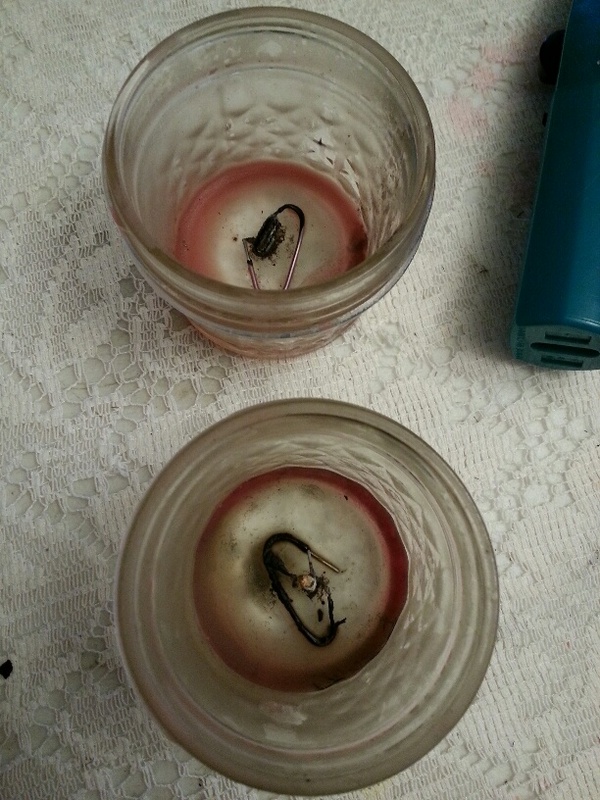 And speaking of how things turn out, I don’t think I shared a picture yet of the burned out candles. As I mentioned about the candles, they burned completely down, leaving no waste wax, and making it easy to retrieve the wick stands. And speaking of the wick stands, here they are. They look just fine to me. Sure the plastic coating burned, but they are still quite functional. 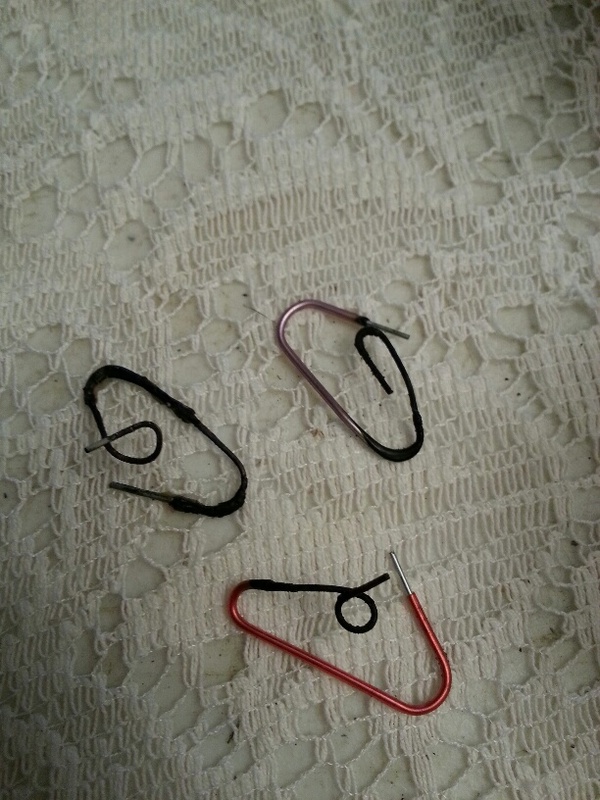 In the future, I would probably try to use uncoated paperclips, but this is what I had. In the last week, Spring has hit the Pacific Northwest! On one of my weekly walking routes I take, there is a stump of a tree that Flower Girl calls the Bee Tree for good reason. It is so awesome to sit and watch the bees do their thing. You know there’s just gotta be some good honey in that tree! I’m hoping the city doesn’t tear it down. 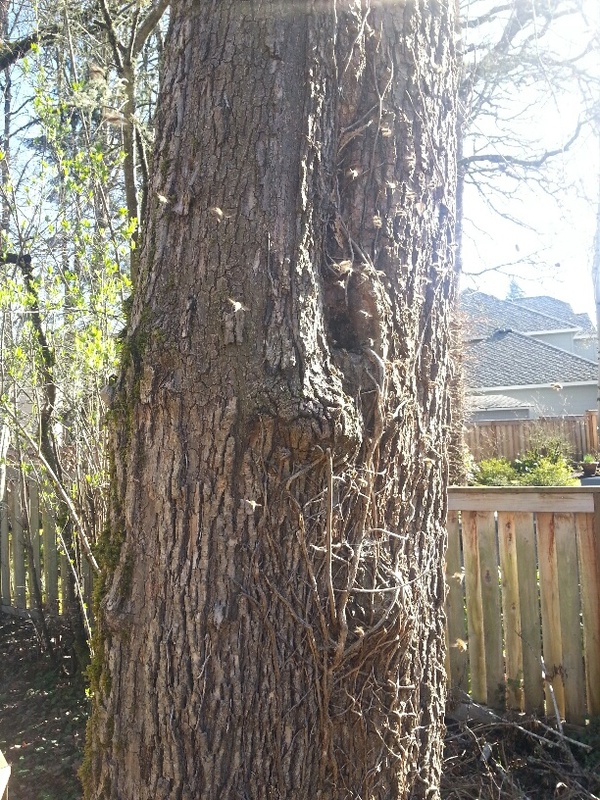 They have already topped the tree so it’s just a 10 foot tall stump. I’m hoping that means they plan to leave it for the bees. 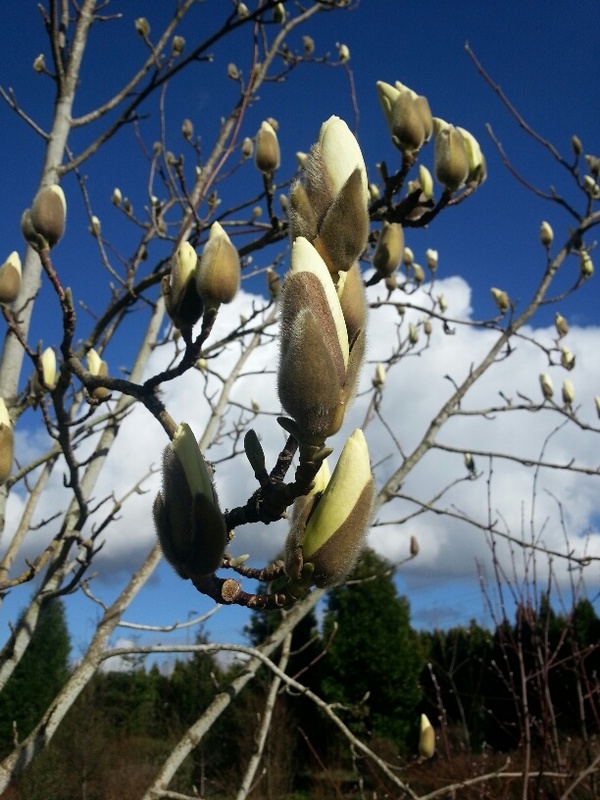 The tulip trees are just about to bloom. I’ve seen lots of fruit trees with blossoms, and tons of daffodils and hyacinth flowers around. Ahhh, I love spring! And Flower Girl loves her Bachan (Japanese for “grandma”). I caught the two of them snuggling the other night. It was too precious. And that’s all I can share for now. So, are you dying to know about our big news? I’m dying to tell you. But we’re both gonna have to wait, ’cause I have a three year old who needs to get into bed. I’ll be back soon with another post, I promise. This entry was posted in "Daily Life" journaling, Homemaking, Portland Interlude 2014-2016, Recipes and tagged Candlemaking, Family, recipe, Seasons on February 24, 2016 by Maridy. Awwww…don’t leave me hanging!!! Good post. Love the ketchup recipe. My family eats ketchup like it is a vegetable (that comes from my husband’s side of the family). 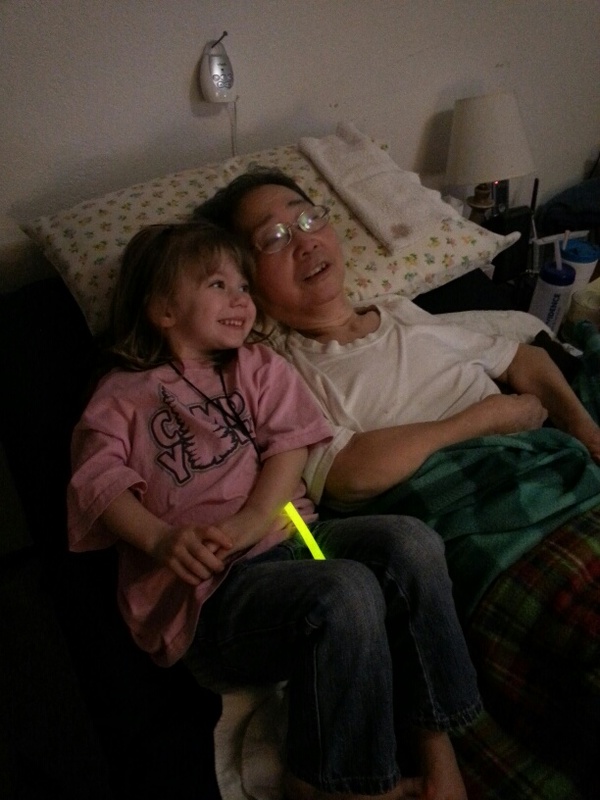 I love the pictures and you daughter is so cute with her grandpa. Blessings. I love love love love that ketchup it is so so so good!